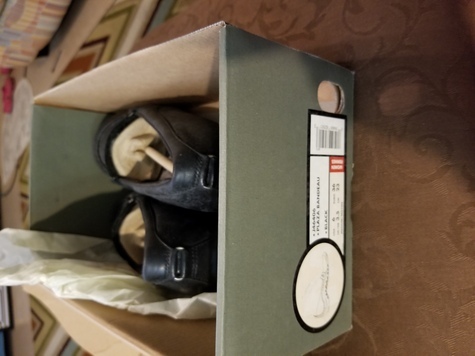 Black size 6 Merrell shoes in box with paperwork. Good condition. A little leather cleaner would be good on them.